Oxynger KeyShield is a secure, anti-screenshot and free virtual keyboard to protect passwords and other sensitive information from malicious programs and hacking. Oxynger KeyShield protects its keystrokes from keystroke logging, screen logging, mouse logging, clipboard logging and shoulder surfing. Oxynger KeyShield provides the world's best protection from keylogging. It is 100% protected against hook based, API based, kernel/driver based and hardware keyloggers. Ordinary anti-keyloggers only protect from some type software keyloggers. But Oxynger KeyShield protect its keystrokes from software and hardware keyloggers. Oxynger KeyShield is protected from making its screenshots or video. 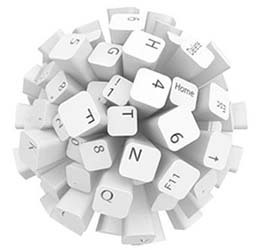 Many modern keyloggers are able to capture screens while entering passwords using a virtual keyboard. It prevents taking its screenshot using screen logging programs and windows print screen function. It is also protected from video recording programs.